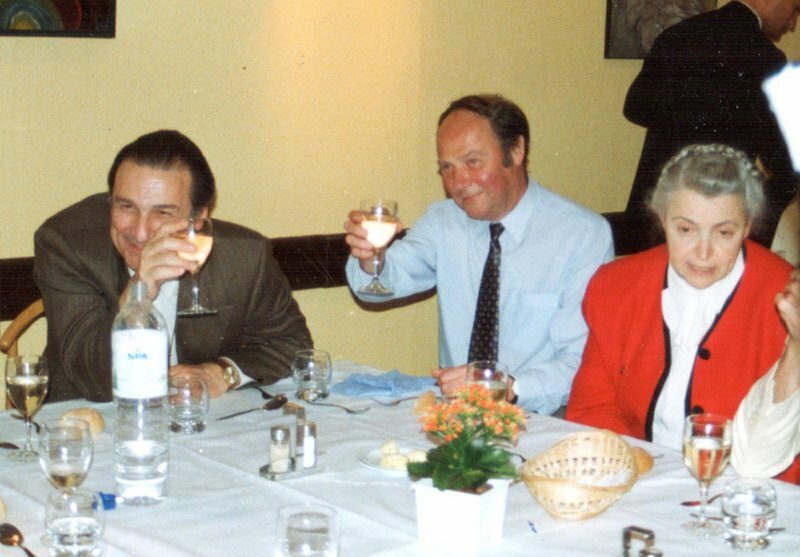 As I sit down to write these lines, and as I recount almost fifty years of a long-term, intense scientific collaboration and a warm friendship — I feel a sense of consolation and warmth, since Millie’s memory was continuously, vividly present in my mind. 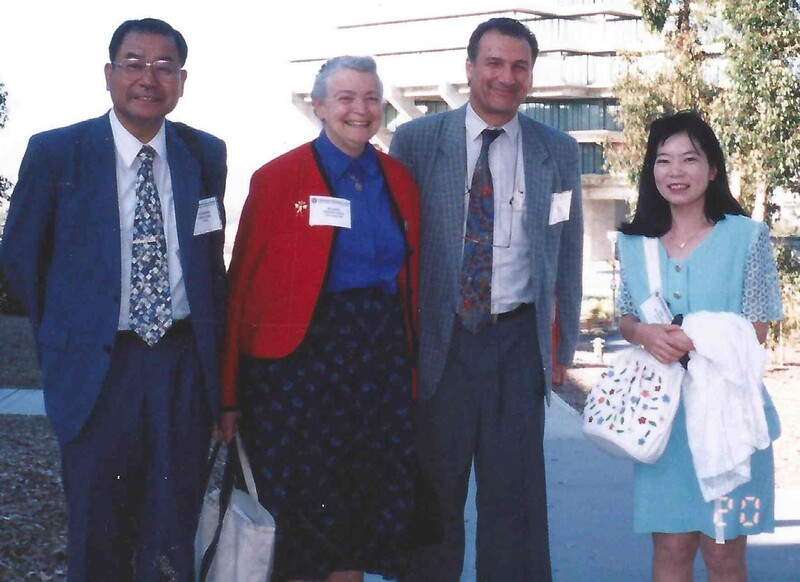 At the time of my first meeting with Millie in 1970, I was a freshly nominated professor, while she was already a confirmed scientist with a wide international reputation for her seminal work in Solid State Physics. Since that first meeting, I used to visit the US three to four times a year. 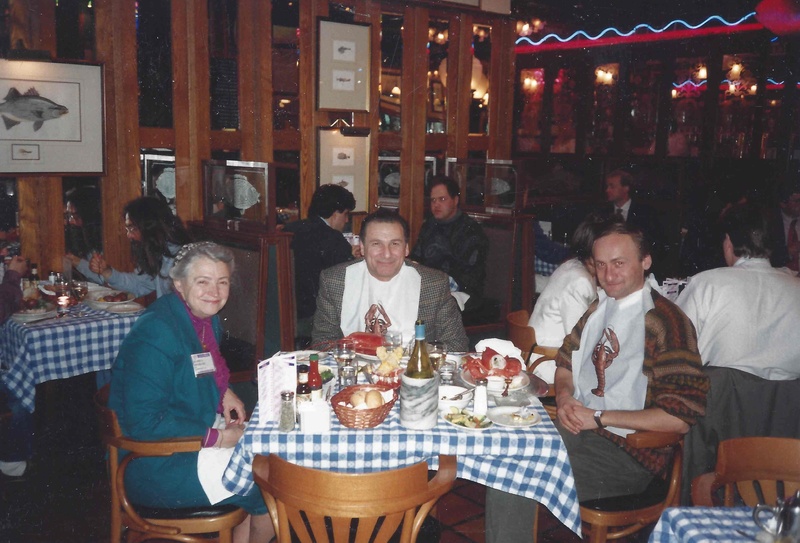 At almost every trip, I used to stop in Boston and visit Millie at MIT or at her home in Arlington. To ensure we were not disrupted too often, in our discussions, we used to schedule our MIT meetings for Sundays. Some of her students were around, but not many others were. Even so, the phone was always ringing in her office in Building 13. 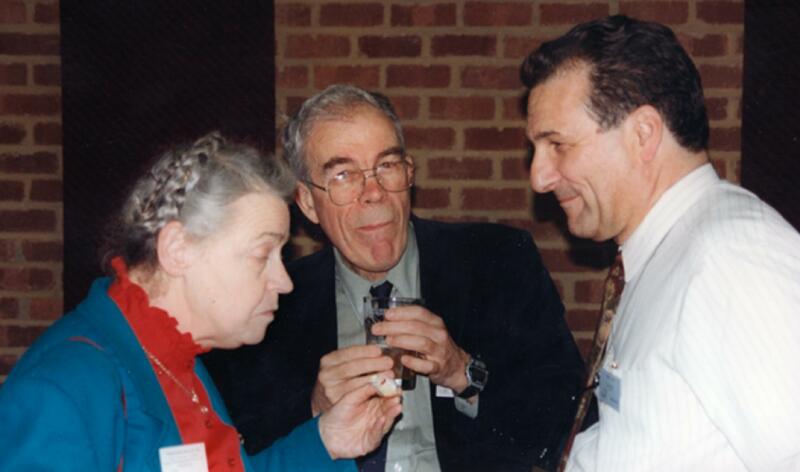 In Arlington, during my visits to the Dresselhaus’ home, science and music were always present at the rendez-vous. And this was no accident; it’s very much in keeping with Millie’s interests. I was often delighted, when invited to her home, to hear a concert with each member of the family playing an instrument. It meant I started my day with Heisenberg's uncertainties, and ended it with classic music. I will not try, here, to outline the impressive scientific contribution that Millie made to science. I will content myself with describing, by means of a few examples, her early contribution to the development of our knowledge on semimetal physics, more particularly graphite, its intercalation compounds, and bismuth. Through these examples, it will become apparent how Millie began her pioneering work by unveiling the mysteries of the electronic band structure of these materials, and how she then made her decisive incursion into the nanoworld. I will refrain from speaking about many other topics, as well as on her more recent outstanding contributions to the field of nanocarbons, which will be discussed in detail by other contributors to this issue. My story starts in the sixties, when Millie contributed to improve the models for the electronic band structure of graphite that had been recently developed. Then, she focused on the electronic structure of group V semimetals, to which she made a decisive contribution. Indeed, at a time when magneto-optics were still in their infancy, she used this powerful technique for the determination of the electronic structure of semiconductors and semimetals, adding a lot to our understanding of these materials. Soon after our first meeting in Dallas, I visited her at MIT in the early 1970’s, and that was when Millie and Gene invited me to their home in Arlington for the very first time. I remember the interesting discussions I had with Gene, while walking around the pond near their house. From that day onwards, Gene always played an active role in our meetings and discussions. After our walk, I returned to their home, and that was when I was given my first demonstration of Millie’s outstanding ability to solve a scientific problem. I asked her if she could perform magneto-optic measurements in bismuth at high temperatures, since this data was needed to know about the temperature-dependent band structure. To my surprise, she immediately said, “yes — why don’t we try it and extend our experiments to higher temperatures?” This was much to my surprise, because, for basic reasons, low-temperatures are needed for this purpose, since the charge carriers must have large mean free paths. This was my introduction to the powerful combination of innovation and determination that was Millie. A few years later, her joint work with Mario Vecchi and Emilio Mendez solved the problem, and the temperature variation of the band parameters was made available up to room temperature. These measurements were successfully performed for the first time. Indeed, almost every major stride in the development of Solid State Physics, to which Millie contributed so intensively to its present maturity, has witnessed the touch of her pioneering and exuberant activity. I remember attending her invited talk at the Dallas conference, cited above, where she overviewed the state of the art about the electronic band structure of group V semimetals. It was the first comprehensive review on the subject. One of the numerous meetings that she organized was the Erice summer school on intercalation compounds, where she gave an overview on the subject that I found particularly interesting, since she used a global approach to speak about “deliberately structured materials”. She was essentially comparing these compounds to semiconducting superlattices. This global view is characteristic of the way Millie tackled scientific problems. Her wide scientific knowledge allowed her to take some distance with respect to a specific problem and attack it whilst having in mind the global context in which it should be situated. Let us come back to thermoelectricity, which had a large impact on the scientific community. A few decades ago, we started a joint research program on this subject, which was sponsored by the Navy. Since the intensive work in the 1950’s by Ioffe in Russia and Julian Goldsmid in the UK, the field had stagnated. We wanted to make it a very exciting field, again! We discussed the possible materials that could be of interest, namely oxides of the high temperature superconductors families, and then we set up a research program. But just following what was, for her, a classical path would not satisfy her creative mind. She wanted real innovation — and we knew that this was badly needed — and, indeed, she provoked a revolution in the field. She proposed with Lyndon Hicks that low dimensional materials at the nanometric scale, more particularly bismuth, whether pure doped or alloyed, would be the choice candidates for modern thermoelectricity. “Several months later, a concept paper emerged with two main ideas. The first was to explore new materials classes that were not known in the 1960’s (such as high Tc cuprates which had very low thermal conductivities). The second idea concerned the exploration of low dimensional materials, e.g., quantum wells (2D) and quantum wires (1D) as thermoelectrics. Because of the higher density of electronic states that is possible in low dimensional systems, it was thought that the thermoelectric properties of low dimensional systems could be different from their 3D counterparts.” (M. S. Dresselhaus, Careers in Thermoelectricity, Proceedings ICT 98). Her contribution to the field has lead to the vigorous revival of thermoelectricity as a field, which we are witnessing, now. The intense activity in the area, worldwide, across these last two decades, which has been developed by a large number of groups and the organization of numerous international meetings, is a direct result of her decisive impulse. Among the materialization of her ideas is the elaboration of nano-systems for various kinds of materials. Thermoelectricity was chronologically her second significant aggressive incursion into the nanoworld. The first incursion concerned nanocarbons. 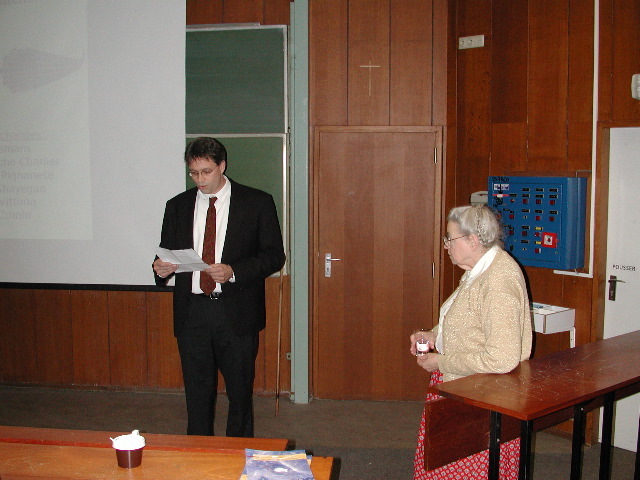 She also contributed significantly to our understanding of graphite intercalation compounds among other exotic solids. She worked on almost every physical aspect in the field, with particular emphasis placed on Raman scattering studies. As is the case nowadays for thermoelectricity, she was, without contest, the leader in the field of graphite intercalation compounds at the international level. She was the scientist upon which you could always rely, and with whom you would speak in order to know what was going on in the field and what should be planned for the future. If I know this field particularly well, it is because, in the early eighties, she dragged us into this research subject by using her convincing talents to show us how rich and interesting the physics of intercalation compounds really was. This was a new opportunity for a fruitful collaboration. During my summer visits to the US, I often spent a few weeks at MIT. This was particularly stimulating. The scientific and social exchanges were at two levels: with Millie and Gene discussing our research activities, our common papers in preparation, and planning our future research; but I also very much enjoyed my scientific and social relations with the younger people, the PhD students or postdocs, such as Mansour Shayegan, Boris Elman and many others, all of whom would show me around in Boston and introduce me to the young community. I remember quite well our rides from Arlington to Cambridge, sitting beside Gene, who was driving, while Millie was sitting at the rear, busy correcting papers or doing some domestic tasks. While I was having discussions with Gene in the front, Millie would listen and chime in with her own brilliant opinions and theories. Millie was not only dedicated to science but she was also greatly concerned about the future of her students and former students. Once you decided to spend a few years under Millie’s supervision for a PhD thesis, you knew that you had also implicitly entered into a lifelong contract. Henceforth, Millie would always be there for you, whenever you needed her. You did not need to ask. You would have a guardian angel for life. During our numerous discussions, I can witness to what extent the career and the success of her former students was important to her. In the same context, many young physicists around the world owe a good part of their international recognition to Millie. When she thought they were particularly talented but that their talent was not yet duly recognized, she would give them the opportunity to present invited talks at international meetings or to spend some time in her department. This helped them to be recognized in their respective institutions. I often watched how, after some international event, younger researchers were constantly gathering around her. They were eager to catch some piece of advice, or to discuss their research interests with her. And she would always listen and interact with them. Our former students in Louvain-la-Neuve, whether graduates or undergraduates, have also benefited to a large extent from Millie’s expertise and particular interest for their future careers. Once or twice a year, she used to stop in Louvain-la-Neuve for a couple of days to discuss with our students the results of their research. These last few years, she resumed her regular visits to hold the same discussions with the students of Jean-Christophe Charlier. I remember these visits quite well. I used to pick up her and Gene from the Brussels airport early in the morning — the flight from Boston usually landed around 7 AM — and would drive them to Louvain-la-Neuve. In our seminar room, around a cup of tea — actually, many cups of tea — she would start discussing science with our students, one after the other, all day long. Then, at dinner, the three of us would resume our discussions. Often, the meetings with the students would start again, the next morning. 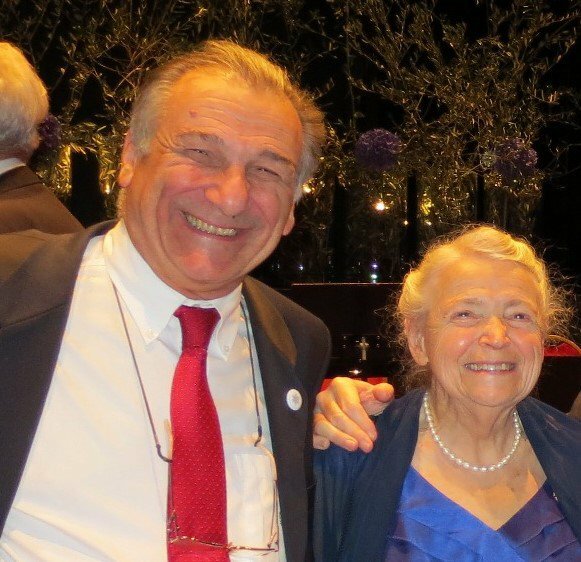 Among the many awards and honors she was granted, Millie was the recipient of the 2012 prestigious Kavli Prize. The award ceremony took place in Oslo. In addition to the official ceremony, this was a unique opportunity to gather her family and her close collaborators — who came from across the globe — around Millie. I think that she very much enjoyed the ceremony and the friendly environment. I cannot conclude these recollections without stressing the major importance of Gene’s contribution to Millie’s scientific achievements. I do not think that you can find another example of such an efficient and complementary team. A winning team. Thank you, Millie, for all that you have done for the scientific community and for my research group. Thank you for your friendship… and for your charming smile.